With my return from Seville at the end of June, the first formal phase of the project representing the analysis of bibliographic, archaeological and ethnohistorical records concluded. This phase had yielded a rich source of Andean health beliefs and concepts with which the work on constructing the health beliefs models could be based. 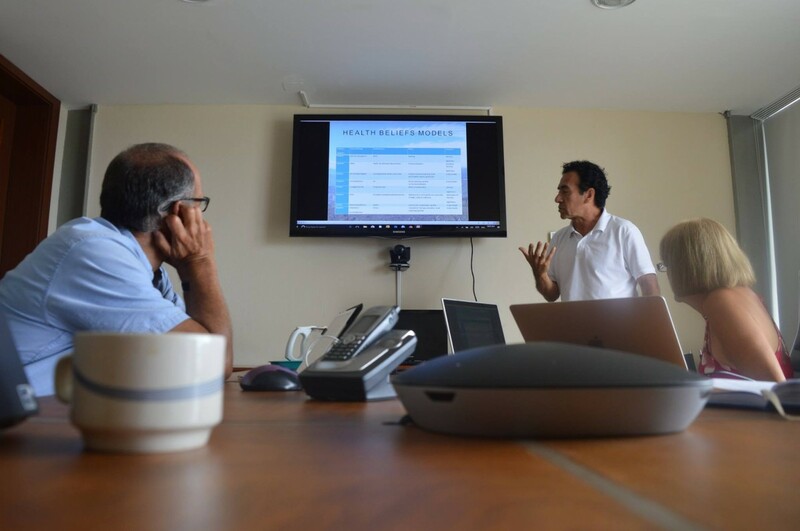 These were amongst the topics discussed at the first ever project workshop which took place at the Galápagos Academic Institute of the Arts and Sciences, Universidad San Francisco de Quito, San Cristóbal, Galápagos in the last week of July. Present at the meeting were the project’s core participants here in Ecuador: Diego Quiroga and Fernando Ortega from USFQ, and John Schofield from the Department of Archaeology, University of York, who had travelled from the UK to be present. Patrick Doherty of the Department of Health Sciences, University of York heroically managed to participate through erratic mobile phone connection from the UK! A detailed presentation was made re-stating the overall project objectives and summarising the phases of work now completed, currently in progress and shortly forthcoming. With the completion of the first phase which has refined our understanding of Andean health beliefs and practices, and the development of early models depicting this, we now start work designing the survey to carry out with three indigenous Andean populations in the Ecuadorian sierra, with which to test this early conceptual stage of the work. 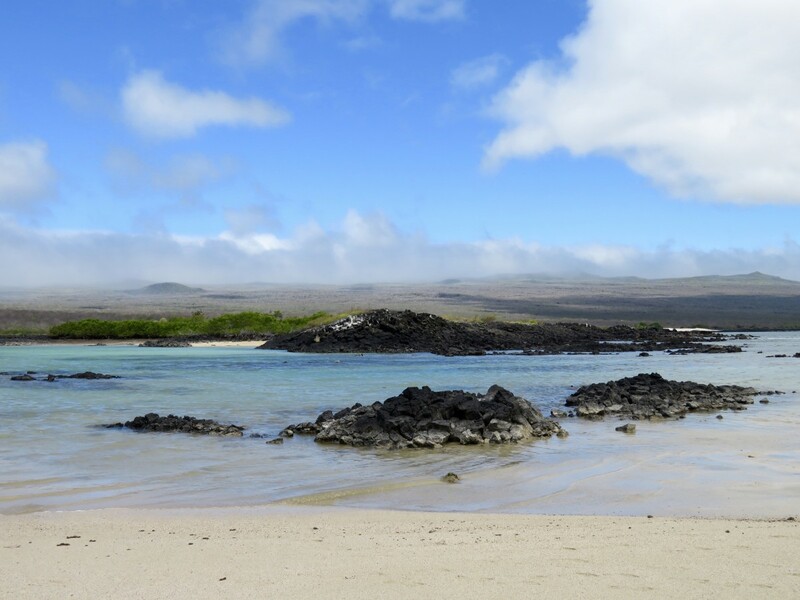 Needless to say those of us actually present on San Cristóbal Island had plenty of opportunity to enjoy the unique Galápagos location and the opportunity for many informal discussions about future research ideas! The Workshop concluded with a wonderful dinner at MUYU (meaning 'seed'), Golden Bay Hotel, Puerto Baquerizo Moreno. 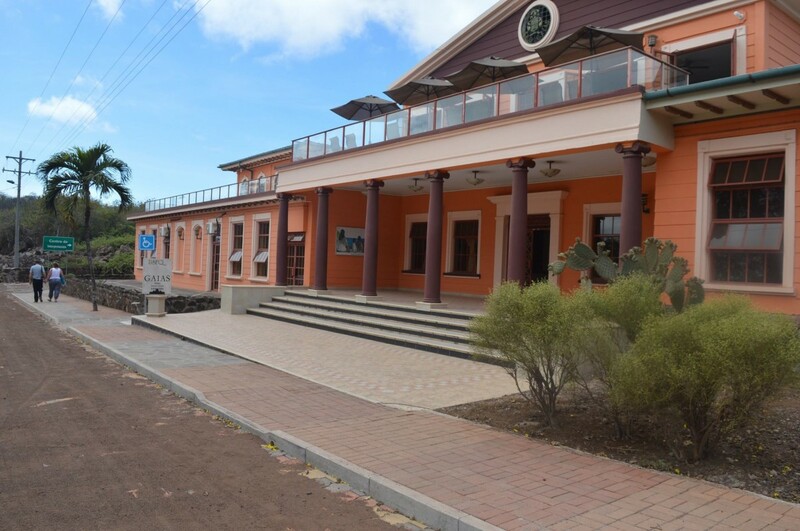 The restaurant owners work closely together with the Galápagos Foundation towards a more sustainable, humane and healthy cuisine, which is inspired by a fusion of locally and sustainably produced products with global gastronomy and a uniquely Galápagos taste and experience. Excellent! This blog entry was posted on Thursday 3rd August 2017.